Seashell Size ¾" - 1 ½"
Green Turbo hermit crab shells are recommended for small hermit crabs. They love them. 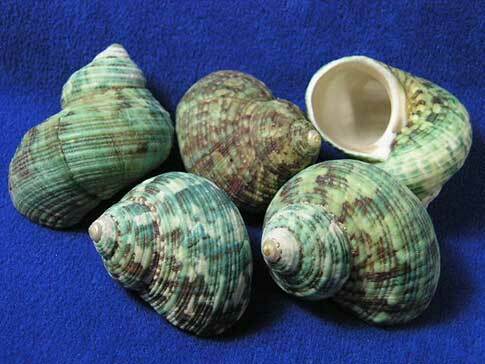 The shells are light weight, green with a bit of brown and have a round mother of pearl opening.